Visit Wagha Border with Haririi. We offer you best tourism package for your Tour to Wagha Border. It is the only road border crossing between Pakistan and India which is located 22 km (13.75 mi) from Lahore and 28 km (17.5 mi) from Amritsar. 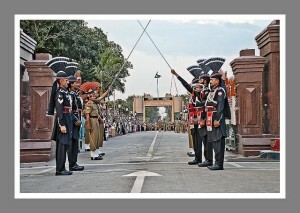 For foreign tourist, the Wagah Border crossing opens daily between 9am-4pm. First you visit Masjid Wazir Khan and then move on to the Pakistan-Indian border called Wagha Border. For foreign tourist, the Wagah border crossing opens daily but you need valid travel documents, health certificates and patience to cross into India.